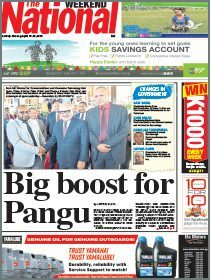 Former New Ireland premier Pedi Anis says the province wants a different style of autonomy from that of Bougainville. members of the provincial assembly. Anis said the concept of autonomy for New Ireland had been promoted since 2008.
model for Papua New Guinea,” he said. “We see the model of autonomy for Bougainville as unique because of the difficulties that they have been through. “They will have a referendum in which they will decide whether to have independence or to remain as part of Papua New Guinea. “We, in New Ireland, are different. “We are going to have autonomy under the Constitution of Papua New Guinea. “We will remain part of Papua New Guinea because we believe in this country and many of our forefathers have worked hard for the country. “We just want the powers to make decisions about our resources. “We will help the Government to manage this country but from New Ireland, under the New Ireland way. 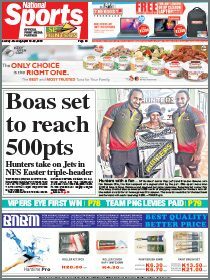 Anis said New Ireland leaders must put aside their political differences and work together for the good of the province.